"This cat has been outside with a collar for quite a while. Maybe the family packed up and moved." As the bitterly cold winter of 2014-2015 rages on across the northern half of the United States and throughout most of Canada, the number of kittens and cats victimized by its ruthlessness continues to mount with each passing day. On January 14th, for example, a less than one-year-old black kitten subsequently dubbed Flick was found with his front paws frozen to a porch in Redford, Michigan, twenty-six kilometers west of Detroit. "There was a pool of blood right next to his front paws," Animal Control Officer Dan Brown, who was contacted by an unidentified homeowner who resides at the intersection of Curtis Street and Five Points, related to WDIV-TV of Detroit on January 15th. (See "Cat Frozen to Porch of Redford Home Rescued.") "It looked like it was coagulated, so he's been there for a while." Given that an unidentified neighbor had overheard a cat meowing throughout the long, frigid night when the thermometer plummeted to -3° Fahrenheit at the nearest reporting station in Farmington, the homeowner surely also must have heard Flick's plaintive cries as well but for some unexplained reason elected to wait until the following morning before summoning help. That totally inexcusable delay, if indeed the owner was at home, not only ended up exacting an horrific toll on Flick but it nearly cost him his life as well. Oddly enough, Flick's rear legs were not frozen to the porch and for that Brown believes that he has a weak bladder to thank. While that certainly is conceivable, it is not the only possible explanation. For instance, whereas WDIV-TV insists that Flick ripped out his front claws while attempting to extricate himself from his would-be tomb, WTSP-TV claims on the other hand that they had been previously removed. That very well could be the case in that it seems only logical that it would be considerably easier for declawed paws to become frozen to an extremely cold surface than those that had been left intact. The type and condition of the porch has not been disclosed but based upon the horrific injuries inflicted upon Flick, it not only was frigid but likely covered in ice and possibly snow as well. Regardless of its condition, the injuries sustained by Flick are yet still another cogent argument against the thoroughly barbaric practice of declawing cats. After delicately extricating him, Brown took Flick to Tail Wagger's 1990 in Livonia, seven kilometers to the west of Redford, where the full extent of his massive injuries first became known. Specifically, his claws were not only missing but he additionally had ripped out the pads on his front paws. 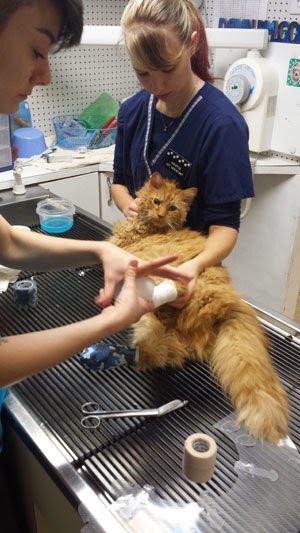 Although press reports have not specified the type of treatment that he received at Tail Wagger's, his paws most assuredly were cleaned, medicated, and bandaged. He also likely was given painkillers, heat therapy, and possibly intravenous fluids. Almost as bad, it initially was reported that he had broken every single digit in both of his front feet during his desperate struggle to extricate himself from the frozen death trap. All of that in turn had left him in simply horrific pain and with swollen paws. Tail Wagger's did not, however, plan on treating the broken bones in his feet. "There probably will not be a lot of treatment for the break (sic), much like a human, you'd have to let it heal on its own," the charity's Laura Zain told WDIV-TV. 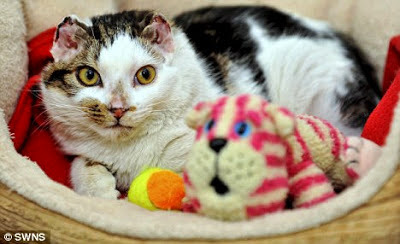 In an untitled article posted January 20th on its Facebook page, Tail Wagger's reversed itself and declared that Flick had not sustained any broken bones and that he was able to support himself on both paws. Later on February 10th the charity disclosed that a portion of one of his paws had been surgically removed but that it would not be known for another week or so if he will be able to walk. Described by the staff at Tail Wagger's as a "sweet boy with spirit," Flick is scheduled to be put up for adoption as soon as his paws heal. Hopefully, he will not end up as a cripple but even if he is forced to walk with a limp there cannot be any denying that he is truly fortunate to still be alive. "If it wasn't for the phone call from the homeowner and the assistance from the neighbor, he would've surely froze (sic) to death," Brown told WTSP-TV. Although this world favors those cats and humans with unfettered access to money, family, and friends, Old Man Winter does not play favorites. He is in that sense the great leveler in that he will unconscionably freeze the life out of any creature that, either unwittingly or through misfortune, tumbles into his merciless grasp. That, by the way, is the reason why some individuals occasionally are able to screw up smidgens of compassion for homeless men during the wintertime while turning deaf ears to their desperate plight during the remainder of the year. In that regard it is just too bad that there are not other mechanisms in addition to the elements that would allow them to experience firsthand the deprivations that cats and the poor face every day. Flick's misfortune is all the more deplorable in that it seems highly probable that he was intentionally abandoned by his previous owner. For instance although he had not been neutered, he was wearing both identification and flea collars. "This cat has been outside with a collar for quite a while," Brown affirmed to WDIV-TV in the article cited supra. "Maybe the family packed up and moved." Compounding an already desperate state of affairs, Flick's collar was wound so tightly around his neck that it was nearly strangling the life out of him. Although his previous guardian apparently had taken great care to remove his name tag so that he could not be traced back to either him or her, that person irresponsibly left his collar in place so that it could eventually either throttle him or snag on a foreign object. According to google's Street View, the Curtis Street and Five Points section of Redford appears to be the very epitome of a middle-class residential neighborhood with its white wood frame houses, tree-lined streets, and neatly-trimmed green lawns in the summertime. While it always is conceivable that Flick was driven into the area and dumped, the preponderance of the available evidence tends to suggest that his guardian resided not too far away from where he was found. Since the overwhelming majority of all cases of animal cruelty go unreported by the press, that in turn makes passing judgment on a particular geographical area a rather dicey proposition. For example, some areas actually could be far more antagonistic toward cats than Michigan but their crimes are kept hidden from the outside world by an obliging media. Not only is the city itself bankrupt, but hundreds of homeowners are so cheap that they prefer to live in unsanitary conditions rather than to pay their monthly water bills. In such a depraved milieu, it is not any surprise that cats are abused with impunity. Redford, and presumably the remainder of Michigan as well, also is guilty of discriminating against cats in that although it is illegal in the city to leave a dog outside in the cold without the benefit of shelter, cats do not enjoy any comparable legal protections against the elements. "It is not illegal for a cat to be outside," Brown told WTSP-TV. "It's frowned upon." 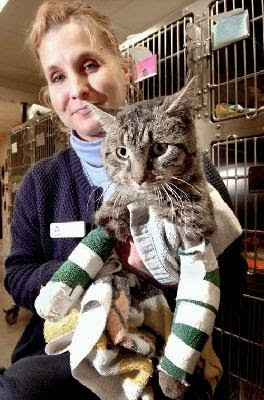 While it is readily acknowledged that since neither humane groups nor the police do very much in order to enforce the existing animal cruelty statutes, they certainly are not about to break so much as a sweat safeguarding cats from the cold. Nevertheless, just having such a statute on the books coupled with an occasional arrest and prosecution might serve as a mild deterrent in some instances. Affording cats the same legal protections that dogs now enjoy also would go a long way toward eliminating the widely held view that their lives are somehow less worthy of protection. 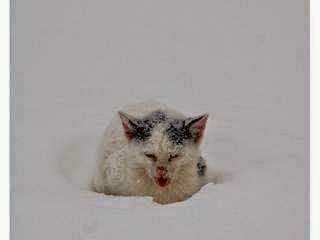 While it is difficult offhand to think of either a season of the year or a particular set of circumstances that would justify the heartless abandonment of a cat, doing so during cold and snowy weather is an especially egregious offense. That is doubly so because if they are not done in by the elements they are likely to starve to death in that there is precious little outside for them to eat at such times. Perennially homeless cats, on the other hand, are experienced enough to at least seek shelter underneath buildings, in recesses in the ground and, sometimes imprudently, underneath the hoods of automobiles. Even then their wiles often are not nearly sufficient in order to save them from sub-zero readings. Even those fortunate few that somehow manage to survive end up, like Flick, scarred and maimed for the remainder of their lives by the cold. Regardless of how close to death they may be when first rescued, that is not a valid excuse under any circumstances for rescuers and veterinarians not doing all within their power in order to save their lives. Later on January 26, 2014, a near death brown male kitten subsequently dubbed Frozen Kitten was dropped off at the Animal Care and Control Team in Philadelphia. Although utterly reprehensible and totally unforgivable, the first thought that percolated through the minds of the organization's top honchos was to finish him off on the spot. Mercifully, volunteers Marta Skuza and Lori DiFiglia intervened with syringes filled with warm fluids, water bottles and heating pads in order to elevate his body temperature, and chest rubs in order to stimulate his circulation. Skuza even took Frozen Kitten home with her to her abode near King of Prussia. Seven hours later, Frozen Kitten's body temperature had climbed to 97.2° Fahrenheit but he was far from being out of the woods. "We were very nervous and sad," Skuza related to the Burlington County Times of Willingboro, New Jersey, on January 28, 2014. (See "Volunteers Rescue a Cold Kitty.") "Frozen Kitten was getting better almost immediately but the progress was very slow and we were not sure if he is better or if he is going into shock, so we really didn't know that he will be just fine till about midnight when he reached his normal temperature and ate." A few hours after that he was almost back to his old self. "Then I woke up at 3 a.m. to check on him and he moved off the heating pad, was stretched out and comfortably sleeping," she added "When he saw me he hissed and moved away from me. Obviously he got his personality of a scared kitten back and at that point it was definite that he was all better." Frozen Kitten later was moved to the Pet Adoption and Lifecare Society in Broomall, Delaware County. "He is apparently very chatty now, eats like there is no tomorrow and doing great," Skuza confided to the Burlington County Times. "No more hissing. He is quite content now with the good life off the streets." Whereas it was not disclosed if Frozen Kitten had suffered either frostbite or internal injuries, an eighteen-month-old gray, brown, and yellow female with beautiful green eyes named Rosalie was not nearly so lucky. Found frozen to the ground sometime during the second week of January in 2014 on Merritt Island in Welland, Ontario, she ended up losing her right ear, part of her left ear, and the tip of her tail to frostbite. On February 1, 2011, Natasha Schroeder was driving down Pawnee Street in Cleveland, Oklahoma, when she just happened to spy a two-month-old white kitten with black spots named Blizzard meowing piteously in eight inches of snow. His paws were cracked and bleeding, one of his rear legs was injured, and he was suffering from both hypothermia and starvation. "It was shaking uncontrollably," she later told KJRH-TV of Tulsa on February 2, 20ll. 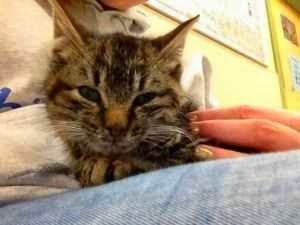 (See "Woman Finds Kitten Freezing in the Snow after Being Dumped in Cleveland, Oklahoma.") "He could barely hold his head up." As terrible as wintertime abandonments in the snowbelt are in themselves, they often are worsened by intentional acts of outrageous animal cruelty. For example, in late December of 2005, most likely on Boxing Day, a calico cat named Lucky was locked up inside a cage that was weighted down with a sixteen-pound stone and tossed into the Clark Ford River in Missoula, Montana. History repeated itself during the yuletide season of 2010 when a black and white kitten named Chabot-Matrix was dumped in the Pennesseewassee Stream in Norway, Maine. Like Lucky before her, Chabot-Matrix landed on an ice floe and subsequently was rescued unharmed on December 30th by members of the Chabot Construction Company from Greene. 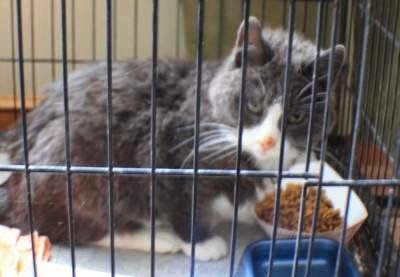 Slightly before the attempt was made upon Chabot-Matrix's life, a handsome gray cat named Jack-in-the-Box was sealed up in a cardboard box on December 23, 2010 and left at the curb in frigid Troy, New York. The game plan called for him to either freeze to death during the overnight period or to be collected by the garbageman the next morning. Fortunately for him, he was found by Melissa Lombardo who promptly notified the Troy Police. The frigid temperatures unleashed by Mother Nature are not the only source of cold that cats have to fear in that the artificial, man-made variety can be every bit as deadly. 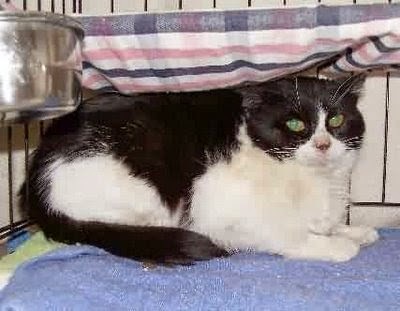 For example, in one of the most outrageous cases of animal neglect and cruelty on record, the management and staff at an unidentified frozen food warehouse located somewhere in either Northamptonshire or the East Midlands knowingly allowed a one-year-old tuxedo named Frosty to spend five weeks in their -28° Fahrenheit facility during January and February of 2010. It is theorized that Frosty was able to persevere in such an extremely cold environment because the doors to the warehouse were open on certain days in order to facilitate the receipt and dispatching of deliveries and that in turn allowed in a degree of warmth. He also likely was able to have secured sanctuary in either a corner or inside some object where it was not quite as cold. As far as sustenance is concerned, he is believed to have avoided starvation and dehydration by eating frozen peas and licking the condensation off the outsides of packages. Even so, frostbite cost him both of his ears as well as his tail. Although it is not known with any certainty, it nevertheless is believed that he became trapped inside the frozen death chamber after having arrived as an unwitting stowaway on one of the delivery trucks. In November of 2008, an unknown and still at large monster in Chatham-Kent, Ontario, even went so far as to divest a twelve-week-old orange kitten named Chopper of his fur and then to abandon him, still bleeding from multiple cuts that resulted from a mean job of shaving, to the elements. Fortunately, his plight was discovered by a Good Samaritan who brought him to the attention of the Ontario SPCA (OSPCA). In addition to the cuts, he had contracted a common cold, fleas, worms, and ear mites. He also was so emaciated that his bones were visible through his skin. "He was in rough shape...we didn't know if he'd make it," Dave Wilson of the OSPCA later said. "He was probably just trying to survive on the street and someone did this to him." The repercussions that result from the horrific toll that motorists take on cats even during clement weather is magnified a hundredfold whenever they commit their atrocities during the wintertime. For instance, back on February 16, 2007 a two-year-old brownish-gray cat named Roo was mowed down and left for dead by a hit-and-run motorist on Manor Road in Lower Windsor Township, Pennsylvania. Domino. Whatever Became of Her? 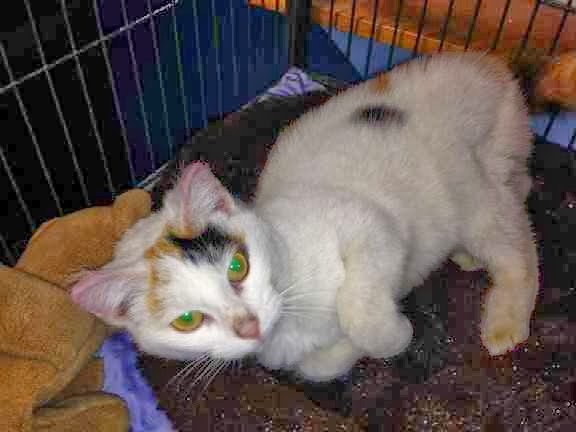 A pretty white female kitten with patches of black and brown to go along with captivating green eyes also was run down and left for dead around the middle of January of 2014 in Youngstown, Ohio. She somehow managed to survive that attack but was forced to hobble around town for another fortnight as she in the meantime nearly succumbed to both hunger and the elements. On January 29th, Jean finally received the veterinary treatment that she so desperately needed and richly deserved. Specifically, she was diagnosed to be suffering from a luxating patella (trick knee) and a broken pelvis. "Jean is an absolute lover and whoever gets her is in for a real treat," the charity exclaimed March 2, 2014 in an untitled article posted on Facebook. Inexplicably, Jean is not listed on the organization's web site as having been one of its successful adoptions of 2014 and that glaring omission could mean almost anything from either her foster mother having elected to keep her or something tragic. As revolting as it may be, rescue groups as well as individuals abandon cats to the cold and snow. Back in March of 2008, for instance, when Ann and Mike Hirz of Poynette, Wisconsin, decided to relocate to Green Valley, Arizona, they attempted to leave behind their five-year-old cat, Domino, to tough it out in the cold and snow. Domino, however, became unwittingly trapped in a shipping crate and thus made the trip with the Hirzes to Green Valley. Instead of rectifying their original mistake and holding on to Domino this time around, they instead took the advice of Paws Patrol and transported her back to Poynette where they abandoned her for a second time. "It knows its safety areas. It knows its sources of food and shelter," Patti Hogan of the rescue group argued at that time. "This is Domino's best chance of survival." For anyone looking for a totally bogus rationale for shirking their moral responsibilities, Hogan's baloney certainly fits the bill. First of all, with the Hirzes long gone Domino no longer had any food, shelter, or safety zones to return to in Poynette. Looking ahead, there is not a good deal of room for optimism. Not only did Punxsutawney Phil predict six more weeks of winter on Groundhog Day but some meteorologists are expecting the cold and snow to linger on across North America until at least the middle of April. The area accordingly may not see any warm weather until July. Also, considering the enormous amount of ice covering both the Arctic Circle and Greenland that has yet to melt it certainly looks as if winters in the northern hemisphere are destined to become progressively longer, colder, and wetter in the foreseeable future. Once all the ice has melted, conditions will rapidly deteriorate in the opposite direction. That can only be interpreted to mean that in addition to Flick countless other cats are destined to suffer and die simply hideous deaths as the result of prolonged exposure to the unforgiving cold. Only caring individuals, the managers of TNR colonies, and the guardians of domestic cats have it in their power to significantly alter that distressing scenario. Photos: Tail Wagger's 1990 (Flick), Burlington County Times (Frozen Kitten), Maryanne Firth of the St. Catherines Standard (Rosalie), Natasha Schroeder (Blizzard), Daily Mail and SWNS (Frosty), Bill Bowden of the York Daily Record (Roo), West Side Cats (Jean), Green Valley News (Domino), and Kristina Clark (Ninja). "I just thought, gosh, there is no way he can make it because he's been inside with us all these years." If something sounds too good to be true, it likely is not so. And, storybook endings are reserved for the world of fiction. Like poisonous arrows shot from a quiver in spitfire fashion, the cynics sling their distressing truths at anyone willing to so much as lend them an ear. Moreover, there is precious little solace to be found in even the grudging acknowledgement that their pronouncements do contain a certain degree of validity. That is especially the case after a handsome and loving cat who, at first report had made a miraculous recovery from a simply horrendous case of frostbite and hypothermia, has had a relapse and died. As painful as it is to even contemplate, let alone chronicle, that is precisely what has happened to a ten-year-old longhaired, orange-colored tom named Nicky from Lorain, Ohio, who died on January 17th as the result of cruelly having been left outside in the freezing cold for an astonishing twenty-one consecutive days and nights! 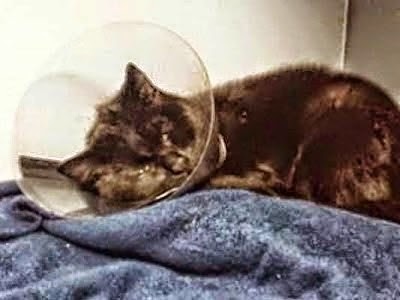 Like countless other felines who succumb to the numbing effects of hypothermia each winter, Nicky's prolonged suffering was entirely preventable and that only serves to make his premature death all the more tragic and inexcusable. On Thursday, January 15th he was found near death by an unidentified family in Amherst, eight kilometers due south of Lorain, and transported to the Friendship Animal Protection League (FAPL) in Elyria, fifteen kilometers to the west. "It was completely frozen. The cat was basically stiff as a board," Greg Willey of FAPL told WKYC-TV of Cleveland on January 18th. (See "Miracle Cat Found Frozen Has Died.") "The best way for me to describe it is that it looked like it came out a meat locker." 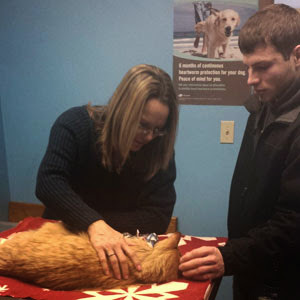 Willey's first instinct was to finish the job that Old Man Winter had started but when Nicky stirred and meowed he had a positive change of heart and instead rushed him to Fox Veterinary Hospital in Carlisle Township, approximately seven kilometers removed from Elyria. 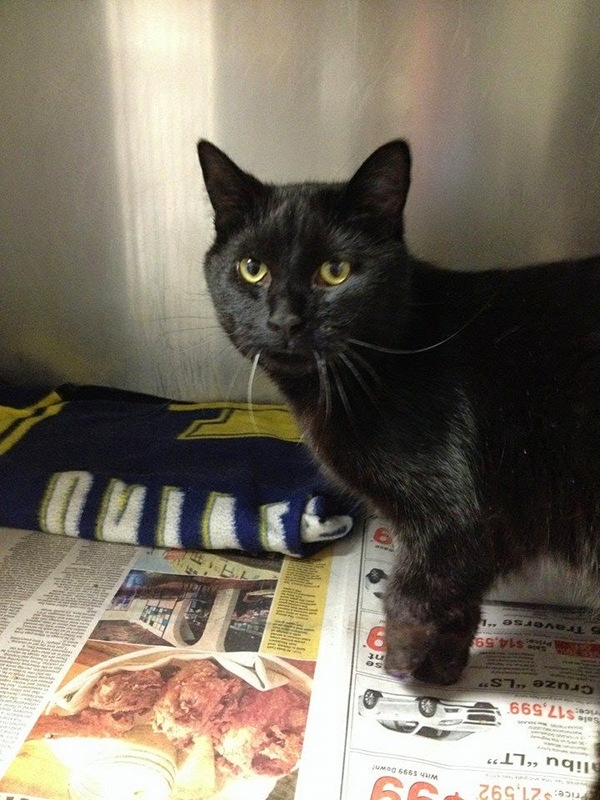 "The poor cat came to me completely flat out; we thought he was dead," veterinarian Ashley Berardi told WKYC-TV. "Temperature was low below normal, so low it wouldn't even register on the thermometer." Like Willey before her, Berardi's first thought was not to even attempt to save Nicky's life but rather to snuff it out. "Greg had thought we were going to have to euthanize. But we kind of showed the cat some food and he perked up right after it, so he still had that drive," Berardi added to WKYC-TV. "So we thought, okay, let's get the catheter in, let's try." As it should be obvious to any thinking person, the life of any sick or injured cat is worth saving regardless of whether it has an appetite or not. Furthermore, just because a cat is too sick to eat does not necessarily mean that it will not respond to veterinary intervention. Based upon both Berardi's appalling lack of respect for the sanctity of feline life as well as her indefensible triage protocol, she undoubtedly would have followed Willey's advise and killed off Nicky on the spot if he had not responded to the offer of sustenance. That can only be interpreted to imply that if she were practicing medicine she likely would subject a man with a hole in his head to a test of scarfing down a platter of pork chops before she commenced treatment. She eventually did, thankfully, get around to administering intravenous fluids and painkillers to Nicky as well as placing him on a heating pad in order to quickly elevate his body temperature. Each of his badly frostbitten paws also were treated and carefully wrapped. All of that initially proved to be a resounding success in that he was able to shake off death's icy grip and to regain consciousness. "I cannot describe to you how much of a miracle it is that this cat is still ticking," Willey later marveled to The Chronicle-Telegram of Elyria on January 16th. (See "Olaf the Frozen Cat Reunited with Owner.") "It is truly incredible. You could have probably lifted it by its tail and it would have stayed flat." Once Nicky's miraculous return to the world of the living had been reported by both WKYC-TV and Facebook, his longtime owner Candice Darmafall came forward to reclaim him on January 16th. "I'm so happy," she rejoiced to The Chronicle-Telegram. "He's so beautiful and has always been such a nice cat." Since the staff at Fox had dubbed him Olaf in honor of the snowman from Walt Disney's 2013 production, Frozen, she even briefly contemplated changing Nicky's name. "We might have to start calling him Nickolaf," she mused to The Chronicle-Telegram. Her newfound lightheartedness was strikingly at odds with the doom and gloom that she expressed when she was first reunited with him and he was still tethered to intravenous tubes. "I just thought, gosh, there is no way he can make it because he's been inside with us all these years," she told WKYC-TV. Darmafall likewise was equally reticent about what actually had happened to Nicky. "Social media and caring people are what gave us the opportunity to reunite with him," she declared to The Chronicle-Telegram on January 19th. "We can't thank the family who found him, FAPL, and Fox Veterinary Hospital enough." It therefore is not known what caused Nicky's abrupt relapse and death although Berardi earlier had warned that he could have sustained unspecified internal injuries as the result of his prolonged exposure to the elements. All that has been reported in the media is that by January 16th his body temperature had returned to normal and that he was up and about. It is not unusual, however, for ailing cats to raise the hopes of their loving guardians by mounting surprising, last-ditch rallies only to later break their hearts to bits by suddenly dying. Much more importantly, it is not even known if he was allowed to die on his own terms or was intentionally killed off by Berardi at Darmafall's urging. After all, Berardi certainly does not have any qualms whatsoever about killing cats so long as she is handsomely paid for her diabolical crimes. It is even remotely conceivable that Nicky could have been whacked by Willey of FAPL in that it was he who announced his death. His outrageous tendency to repeatedly refer to Nicky as it also tends to suggest that he looks down upon cats as inanimate objects. Furthermore, honesty is far from being FAPL's strong suit. For example, although it claims to be a no-kill operation, in practice it kills off all cats and other animals that enter its portals with the notable exception of those that it is able to sell back to the public for a profit. On its web site it not only admits to killing animals that are terminally ill and deemed to be dangerous, but it also reserves the right to kill off its inmates in so-called emergencies as well as to comply with unspecified federal, state, and local laws. Most revealing of all, it declares that it will not allow animals to live for prolonged periods of time in cages and that can only be interpreted to mean that FAPL is operating a slaughterhouse thinly disguised as a no-kill operation. In addition to not knowing where and how Nicky died, it has not even been publicly disclosed what was done with his remains and, as per usual, it is precisely the capitalist media who are to blame for those glaring omissions in the public record. When it comes to their coverage of cats, they oscillate between cute stories that are designed to sell newspapers and to attract viewers and the outrageous lies spread by ornithologists, wildlife biologists, PETA, and others. Such a dishonest policy therefore allows them to laugh all the way to the bank without ever being compelled to recognize that cats are sentient beings endowed with both rights and liberties that should be respected. As suspicious, horrible, and heartbreaking as Nicky's death was, that is only one part of the story. The other part is that he had been living on the streets ever since Boxing Day! Although the weather was mild enough on that ill-fated day in that temperatures ranged from 31°to 48° Fahrenheit, conditions soon deteriorated. According to data recorded at the Lorain County Regional Airport in nearby New Russia Township and posted online at www.friendlyforecast.com, the thermometer was below freezing on twenty of the days and nights that he was forced to spend outdoors. Included in that total were four days of single digit readings plus another four with of sub-zero temperatures. It also snowed on twelve of those days and the rain came down on four other occasions. So, in addition to being nearly frozen to death, Nicky also was soaked to the bone. In the end it undoubtedly was the sub-zero temperatures that killed him. Although he did somehow manage to survive a -4° Fahrenheit reading on January 8th and a -2° Fahrenheit night on January 10th, he was unable to make it through the night on January 14th when the thermometer plunged to -12° Fahrenheit. Even on the day that he finally was rescued the thermometer stood at a teeth chattering -3° Fahrenheit. It thus appears in hindsight that Nicky likely would still be alive today if his deliverance had come a day earlier. Sadly, neither The Fates nor lady luck were willing to accommodate him even in that regard despite the fact that he had suffered so painfully for so very long. Compounding an already totally unmanageable stroke of simply horrendous misfortune, Nicky not only had lived his entire existence indoors but he had been cruelly declawed and neutered as well. "Nicky has been with us ten years and has never been outside," Darmafall disclosed to The Chronicle-Telegram in the January 16th article cited supra. He accordingly knew absolutely nothing about the outside world and without claws he was unable to procure sustenance, defend himself against predators, and to climb trees and fences in order to elude pursuers. His weight at the time of his rescue has not been disclosed but it is difficult to imagine that he could have been anything other than severely emaciated. It therefore is truly amazing that he lasted for as long as he did under such unrelenting, hellish circumstances. Needless to say, no cat ever should be subjected to the pain, suffering, deprivations, and fears that were visited upon Nicky. Secondly, confining cats indoors exclusively is not only cruel and inhumane but it deprives them of both the knowledge and skills that they need in order to survive should they unexpectedly find themselves outdoors. Most domesticated cats live for quite a few years and absolutely no one can foresee what the future will hold for either them or their guardians. Individuals also not only die but cruelly abandon their cats. It therefore is imperative that they be acquainted with the outside world and know how to survive in it. No halfway responsible parent ever would lock up a child in a closet and keep it in total ignorance of the outside world and the same logic applies in spades to the nurturing of cats. Thirdly, many kittens are weaned way too early. Without human intervention it is not uncommon for their mothers to continue to nurse and instruct them for as long as six to twelve months after birth. Fourthly, PETA ridiculously wants to denature the species by transforming these obligate carnivores into vegetarians. Many owners do not help matters by feeding them a steady diet of cheap kibble instead of the meat that they crave. Fifthly, although necessary in many instances, en masse sterilizations are robbing them of their sexual freedom. Sixthly and most outrageous of all, their guardians and unprincipled veterinarians are depriving them of their right to die natural deaths. Man always has been the great manipulator and annihilator of the animals, Mother Earth, and even his fellow man but that does not make such abhorrent conduct either right or desirable, especially where the animals and Mother Earth are concerned. If modern man has sunk so low that he no longer has any ambition other than to be a dumb herd animal who works most of the time and devotes his ever diminishing leisure to counting his shekels and lapping up whatever garbage du jour that mass culture has to offer, that is his business but he should have enough decency not to impose his baseness upon cats and other animals. "To live is so startling that it leaves little time for anything else," Emily Dickinson once observed and that is not a bad philosophy to follow. It will not make an individual either rich or popular but it will deter either him or her from abusing the animals and Mother Earth. The circumstances that led to Nicky's abandonment are cloaked in every bit as much secrecy as his death and on that vitally important issue Darmafall has been anything but forthcoming. "I don't know how he got out, but we were so happy to find him," she vowed to The Chronicle-Telegram on January 16th. On that latter point she appears to have been sincere. "She was just sobbing when she saw her cat," is how Willey described her reunion with Nicky at Fox to The Chronicle-Telegram on January 16th. "This was just a wonderful turn of events." It additionally is odd that Nicky was found eight kilometers away in Amherst. Although it is remotely possible that he could have walked that distance over the course of a number of days, that seems unlikely given the inclement weather. Besides, since he had spent his entire life indoors it only seems logical that he would have been frightened to death of the world outdoors and as a consequence would not have strayed far from home. That in turn opens up the possibility that he became trapped inside either a box or some article of furniture and thus unwittingly ended up in Amherst. It is not a pleasant scenario to contemplate and there most assuredly is not a shred of evidence to support it, but it is conceivable that Nicky was driven to Amherst by Darmafall and turned loose in the cold to fend for himself. She is, after all, already guilty of robbing him of both his freedom and claws and this world is chock-full of all sorts of seemingly honest and respectable individuals who nevertheless do terrible things to cats. Plus, her total lack of candor concerning his disappearance only serves to fuel such speculation, no matter how unfounded it may be. Her credibility is further undermined by the fact that it is unclear just how hard and thoroughly she and her family searched for Nicky. According to The Chronicle-Telegram's January 16th edition, she limited her rescue efforts to posting messages and photographs of him on Facebook. If that is true, she belongs in jail! That is all the more the case given his handicaps and the inclement weather. She was fully cognizant from the outset that he was ill-equipped to survive for very long under such dire conditions and her failure to mount an all-out rescue effort can only be described as inexcusable. In particular, all the while he was suffering piteously and dying by degrees in the unforgiving cold she appears to have contented herself with pecking away on her computer from inside the comfort of her heated house! In that light it would be interesting to know how she spent New Year's Eve and New Year's Day. Specifically, was she in her cups, making merry, and watching the football games on the idiot box or out combing the streets and fields for Nicky? 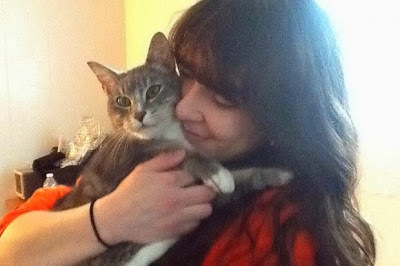 None of that is meant to imply that locating an errant cat is an easy job; au contraire, it is a frustrating, heartbreaking, and near impossible feat to pull off even under the best of circumstances in that it is estimated that fewer that ten per cent of them ever are reunited with their owners. Be that as it may, that is not a valid excuse for not dropping everything and searching high and low, both night and day, for them. Instead of merely writing off Nicky as dead, she should have logged off of her computer, forsaken her warm and cozy house, and scoured her neighborhood for him. His health and well-being was, after all, her personal and moral responsibility and not that of the users of Facebook. "Lost Cat" posters should have been printed and nailed to every lamppost and rescue groups, such as FAPL, promptly contacted. Most important of all, she should have trekked door-to-door interviewing residents and leaving "Lost Cat" posters with them. Only she knows what happened on Boxing Day and how hard she tried to find Nicky. Above all, it is she who is going to have to live with the decisions that she made and that is destined to create a dilemma if she does in fact have a conscience. So, in Nicky's case the cynics were proven to be correct in that his remarkable turnaround ultimately proved to be just too good to last. They are not always right, however, in that other cats felled by Old Man Winter's ruthlessness have gotten off of their death beds in order to live again. For instance back on January 2, 2010, an unidentified Good Samaritan found a thirteen-year-old tuxedo named Annie emaciated and apparently frozen to death in a snowdrift near Main Street and Sweetland Farm in the Boston suburb of Norfolk. The unidentified rescuer then wrapped her in a blanket and contacted Animal Control Officer Hilary Cohen. "At first response, she appeared dead. She was cold, stiff, and unresponsive," she said at that time. "When I picked her up, I did hear an agonal cry, but that sometimes happens postmortem." Despite having grave reservations about her chances of surviving, Cohen refused to give up on Annie. "I kept her in the blanket and put her on my lap in the cruiser and headed to the hospital," she later recalled. "Once in the car, I turned the heater on and saw a whisker twitch. That was the only sign of reflex I saw from her." 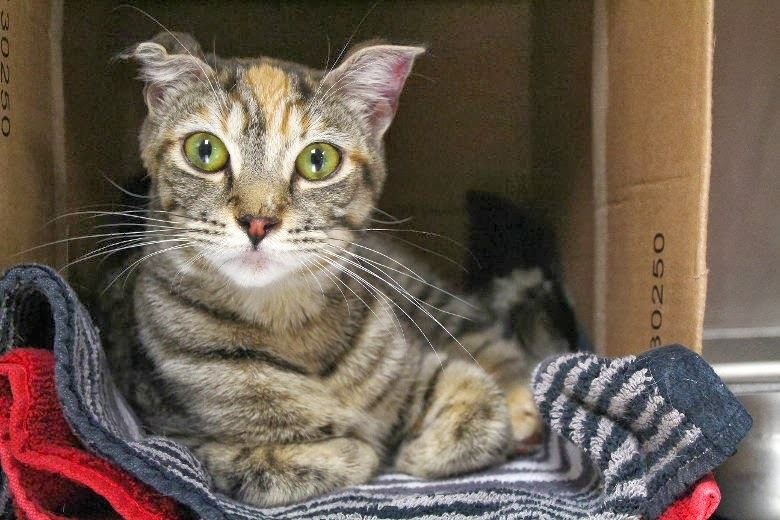 At Acorn Animal Hospital in nearby Franklin, Annie was diagnosed to have a body temperature of only 86° Fahrenheit, which is fifteen degrees below normal for a cat. She also nearly had starved to death in that she weighed only three and one-half pounds. The hospital's staff used electric blankets, hair dryers, hot water bottles, and heat disks in a desperate effort to elevate her body temperature. They also administered intravenous fluids and steroids, conducted a blood test, and closely monitored her blood-sugar levels and heart rate. Seven hours later Annie regained consciousness and within forty-eight hours she was eating, drinking, and back on her feet. "I've seen different kinds of animal issues over the years but I've never seen an animal this cold be revived," Cohen later marveled. Instead of depositing Annie at a shelter, Cohen went beyond the call of duty when she elected to take her home to her house so that she could continue administering heat therapy to her. On January 5th, her owners came forward to reclaim her after reading about her plight in The Sun Chronicle of Attleboro. As Annie's remarkable turnaround clearly demonstrates, time and knowledge are of the essence when dealing with cats suffering from frostbite and hypothermia. Cohen and Acorn's crackerjack veterinary team knew exactly what to do and they did not waste valuable time bandying about Annie and debating the merits of attempting to save her life as FAPL and Fox did in the case of Nicky. One never knows until one tries. Miracles do happen and dreams do come true once in a blue moon. And, never give up, especially on a cat. None of that in any way can now either help Nicky or erase the haunting memory of what his last three weeks on this earth must have been like. Only a profound change in how individuals, especially guardians, look upon and treat cats can ever ensure that no cat is again put through what he was forced to endure. Sadly, even that seems to be every bit as far away as the shelter and warmth that he so desperately sought as he trudged day after day, lonely, frightened, and hungry, through the unrelenting Ohio cold and snow. Photos: Friendship Animal Protection League (Nicky being attended to and with Darmafall), Dan Bowman of WKYC-TV (Nicky by himself on a table), and The Chronicle Sun (Annie).